a comprehensive suite of amenities and seamless connectivity. and MP for Nee Soon GRC. with new and enhanced facilities available to residents. Northpoint City will include North Park Residences, a 12-block residential development comprising 920 residences, the largest retail mall in the North of Singapore, a first-of-its-kind Community Club within a shopping mall and a vibrant Town Plaza, equivalent to the size of 10 basketball courts for hosting a myriad of cultural and community events. 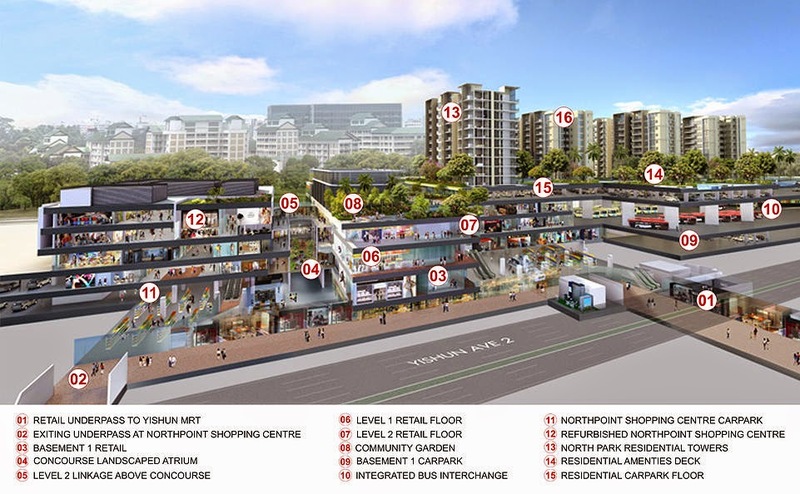 Residents commuting in and out of Nee Soon, as well as within Nee Soon, will benefit from the integrated transport hub, comprising a direct shopping underpass linked to the Yishun MRT station, an air-conditioned bus interchange, sheltered parking for 300 bicycles and over 1,000 car park lots in Northpoint City and the vicinity. Northpoint City will also involve the construction of new pedestrian bridges that will offer barrier-free access to the entire development. 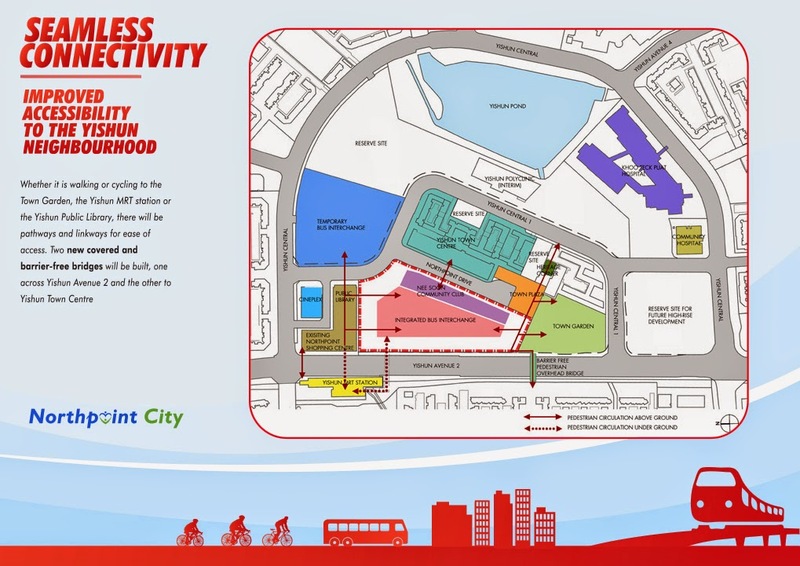 Coupled with new roads and a 15.5 km dedicated cycling network that are part of Nee Soon’s transformation, Nee Soon residents will be able to enjoy seamless connectivity right at their doorstep. In addition, Northpoint City will benefit from the Government’s plan to improve seamless transport connectivity with the upcoming North-South Expressway and the Thomson Line come 2020. 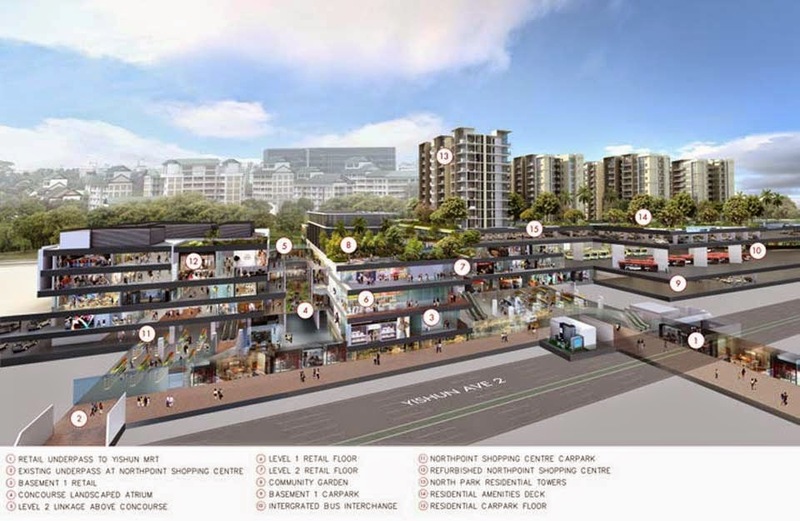 Northpoint City will have the largest shopping centre in the North with over 500 retail outlets, more than double the current retail stores at Northpoint Shopping Centre. 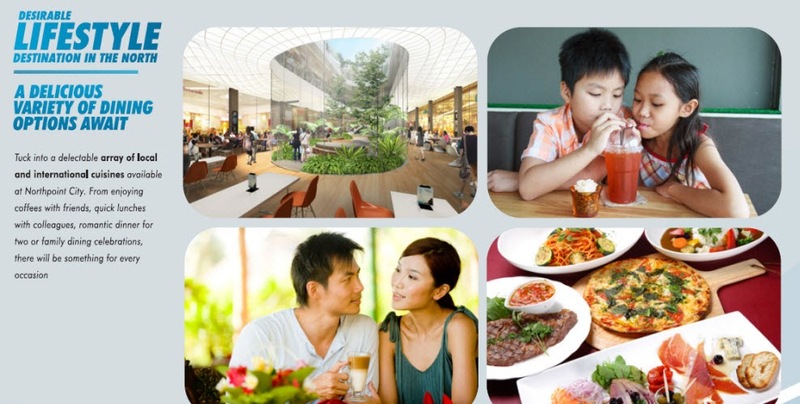 Beyond offering a myriad of retail and dining options, Northpoint City will truly be a destination for the family. The development will also house a childcare centre, a Community Garden on the roof-top, the existing Yishun Public Library, children’s play areas, and a Community Club. More North Park Residences and Northpoint City pictures at the Gallery, Click here!